through its ability to generate energy from the resources of its environment, so eating…It can use regular fuel as diesel, gas, coal, but also manufacture it from biomass. It was sponsored by DARPA. Such robots will have a military or civilian use. They may be used to rescue people lost or in danger, to explore the enemy territory in search of hidden bunkers. Or patrolling in desert areas. 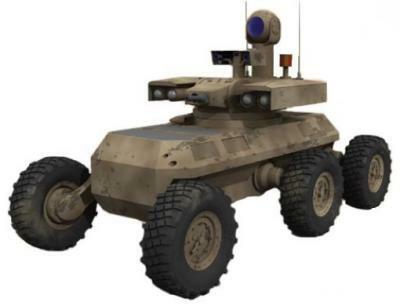 Cyclone Power Technologies Responds to Rumors about “Flesh Eating” Military Robot. company in charge of the energy part of the robot. We do not know actually how to convert proteins into energy. The combustion chamber was developed in the first six months of development. Cyclone Power already has a system called WHE that could do the trick. In a second phase, the fuel system was coupled to the robot to provide the energy of movement and action. All this occurred during the first half of 2009. Three years later, I wondered where was the robot that frightened the users who would not believe it is really vegetarian. Thus I learned that research continued under the control of DARPA, the government agency. 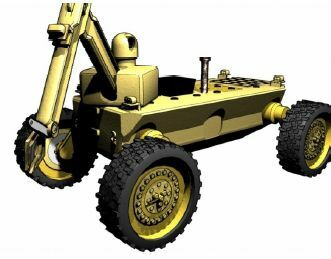 The U.S. military has a special interest in this machine and it has plans in an autonomous recognition vehicle of which we see the image at right. In forests it will "feed" of dead leaves. It will not eat ennemies. The RTI website, the producer. Cyclone Power is specialized in producing fuel from plant sources.